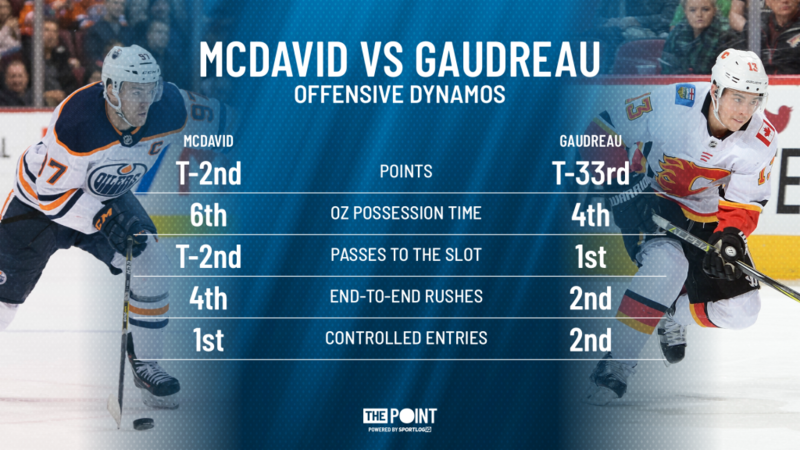 McDavid and Gaudreau Duel in Battle of Alberta - The Point Data-driven hockey storytelling that gets right to the point. 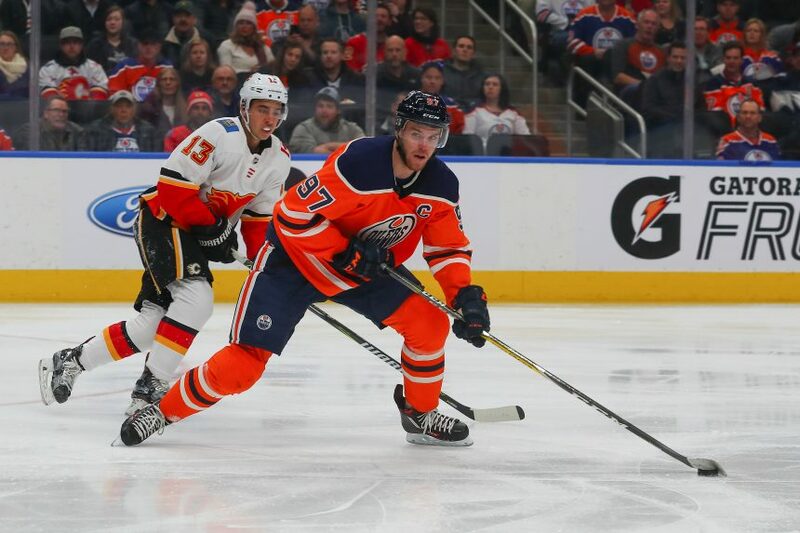 If you’re watching the Battle of Alberta Saturday night, pay attention when Connor McDavid and Johnny Gaudreau have the puck in the neutral zone because there’s no better players in the league when it comes to attacking the blueline with speed and setting up scoring chances. McDavid might have the edge in points so far, but Gaudreau actually has a small advantage in a number of key underlying numbers. He leads the NHL in passes to the slot, where he often finds his linemate Sean Monahan, who leads the league in slot pass receptions and slot shots. McDavid and Gaudreau are also nearly unmatched in the league in skating the puck up the ice, locking up the top 2 spots on the controlled entries leaderboard and two of the top 5 spots in end-to-end rushes. One thing is certain, when these two are on the ice, expect plenty of offensive fireworks and dazzling puck handling.